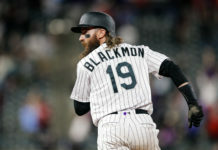 After a collision Friday night at first, a spot he was already replacing the injured Daniel Murphy, Ryan McMahon was assigned by the Colorado Rockies to the 10-day injured list with a left elbow strain. McMahon, tasked with handling duties at both first and second base, was 5-for-25 on the year with two doubles in seven games. He was also named the club’s Abby Greer Award winner, awarded to the most valuable player in Spring Training. In his stead, the Rockies have called up versatile infielder Josh Fuentes from AAA-Albuquerque, cousin of Nolan Arenado. Ironically, the throw that injured McMahon came from Arenado. Garrett Hampson will likely handle most of the duties at second base, with Mark Reynolds handling the bulk of the work at first. 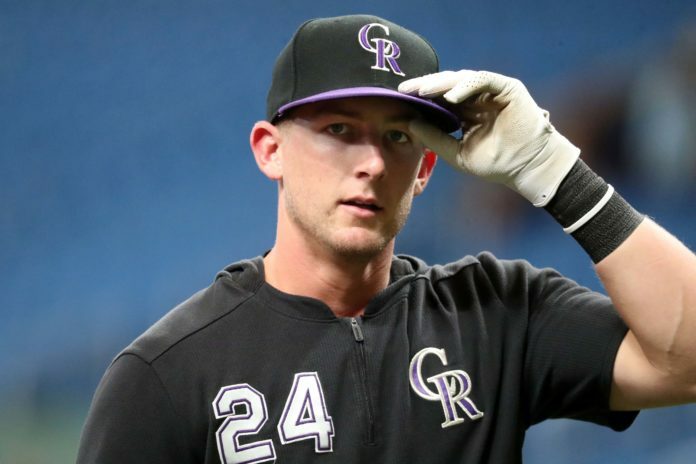 McMahon adds to the list of injured left-handed hitters for the Rockies active roster, joining Murphy. With another left-handed hitter of their roster, Fuentes will further exacerbate the club’s need from hitters on the left side. 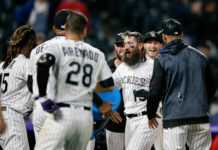 In their lineup for Saturday, Manager Bud Black swapped Trevor Story from his normal cleanup spot to the two-hole, normally reserved for David Dahl as an effort to break up the few left-handed hitters left on the 25-man roster. Thus far for the Isotopes, in a limited seven at-bats, Fuentes had three hits, all for extra bases (two doubles, one home run). Last season, Fuentes hit .327 with 39 doubles and 14 home runs en route to being named the Pacific Coast League Rookie of the Year and Most Valuable Player. The stint with the Rockies will be the first of Fuentes’ career.